There is no better place to store all of your client notes than on Yocale. With Yocale’s secure and encrypted notes, you can rest assured that your client’s record information remains private and safe. You also have the flexibility to not only add notes directly for each one of your clients, you can also add notes for each one of their individual visits too. This gives you the full story of your client’s past visits that you can easily go back through anytime you need. You can also export all of your notes whenever you like. What more can we say. Note-taking is essential for appointment-based businesses as it informs important decisions and recommendations for your clients. When you understand your clients, your clients come to trust you in turn. Yocale is an all-in-one client management system, with built-in note-taking functionality. Paper-based notes are not functional; they can easily get misplaced, can wear over time and take up a lot of space. 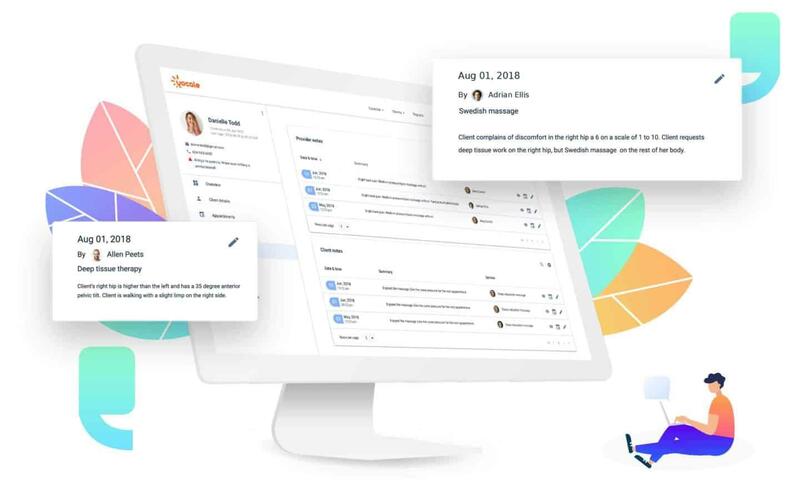 Yocale revolutionizes all aspects of client management for dentists, doctors, hair salons and all other appointment-based businesses, giving you the tools to manage those important client records from one single location. It has never been easier. Yocale’s notes are 100% secure and encrypted so you never have to worry about losing essential client data. Let Yocale take care of the security so you have one less thing to worry about. These notes give a better picture of your client’s history, giving you the ability to make better decisions and recommendations. You will build trust between yourself and your client, establish rapport and build relationships with effective note-taking. Whether you’re starting a brand new business or you’re a well-established business looking for the perfect scheduling calendar, Yocale keeps you covered. An Essentials plan is free for life, which includes unlimited appointments, appointment requests, services, and up to 5 staff members. To take advantage of SMS/text reminders, recurring appointments, secure treatment notes, marketing campaigns and other additional features, the Grow, Pro & Ultimate Plansare in place for you. Join us and let us show you how easy it can be to Get Discovered and Get Booked with Yocale. What Business Processes Should You Automate, And Why? Does your Company Still Need SEO in 2019?